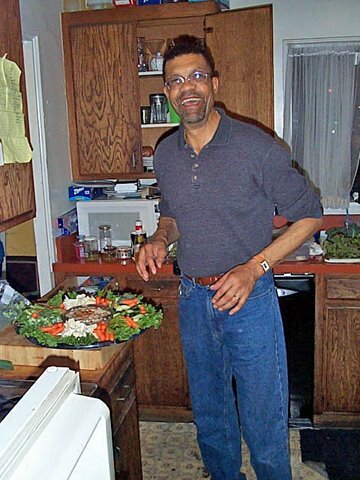 People who love to cook for others leave behind a taste, a signature dish they were known for. Everyone in the flamenco community in Los Angeles knew Ben Bradley made a wicked tortilla Espanola. Ben was a director and producer and all-around go-to guy at the Fountain Theatre in Hollywood, an intimate venue well-known for its award-winning plays and the long-running Forever Flamenco series. When you love the theater, you accept that you will be overworked and underpaid. Dealing with politics and egos goes along with the job. Somehow you navigate the chaos and manage to commit art you hope will resonate anyway. This was Ben’s life work. His talents didn’t go unnoticed. His direction in 2006 of August Wilson’s “Joe Turner’s Come and Gone,” earned him Ovation awards for best direction and best production. His 2008 staging of Wilson’s “Gem of the Ocean” earned best director and best production honors from the Los Angeles Drama Critics Circle. His production of Yellow Man, by Dael Orlandersmith, was so powerful I ran out and bought the script the next day, something I’d never done before or since. In his role of audience development, he was unparalleled. Nobody could fill a theater like Ben. Ben was kind, resourceful and committed. And at the end of every show he had a hand in, Ben would feed everyone. He insisted on it. Imagine being greeted by plates of warm, delicious food made just for you after a tough performance. It was like coming home. Ben thought of his players and audiences as his family. Only right that he should feed them. He was that last man anyone expected to be taken from us so barbarically. In his honor and memory, I made a tortilla. Two potatoes, an onion, five eggs, some Italian parsley, salt and pepper. It’s not hard to make (although it took me many tries to learn how), but it’s warm and delicious. Comfort food of the first order. This one came out well. But not as good as Ben’s. Never as good as Ben’s. In memory of Bennett Bradley. How horrific that a person such as Ben would perish this way. I am touched that you honor him in this manner. 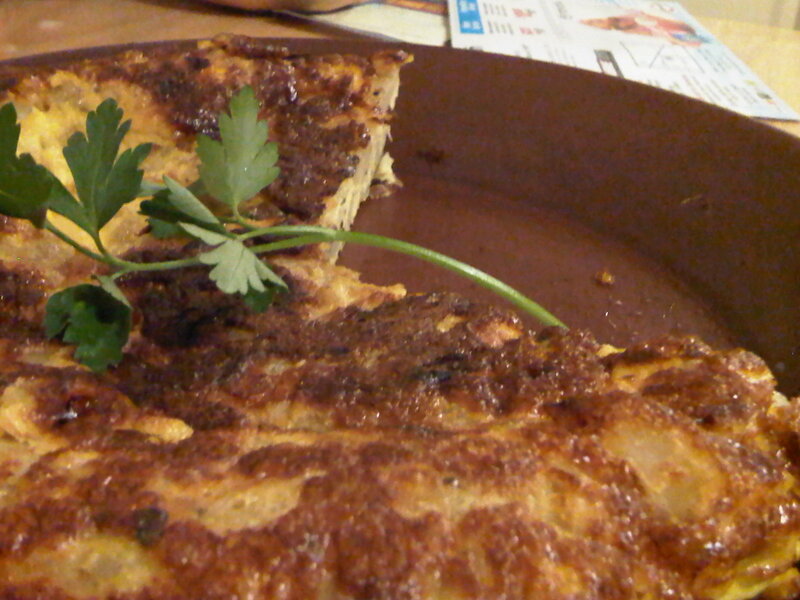 Tortilla Espanola to warm the heart. I wish I could make it without it falling apart. It takes practice, just as performers require rehearsals. That’s what makes it the way it is; a dish to share with all that will take part. Very moving post. Thanks for writing it. Great Article Julie!….thanks for remembering him in this unique way.